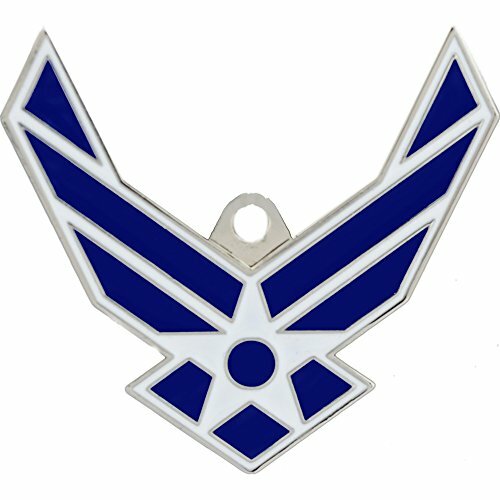 Show pride in the service you've done for this country with this enamel finished US Air Force Logo key ring. Distinctively designed official with the new logo of the United States Air Force and U.S.A.F. across the back. Made with the best in American Craftsmanship. Part of our patriotic collectors series! Makes a great gift for the 4th of July, Independence day, Veterans day, or any other occasion! If you have any questions about this product by EE, Inc., contact us by completing and submitting the form below. If you are looking for a specif part number, please include it with your message.